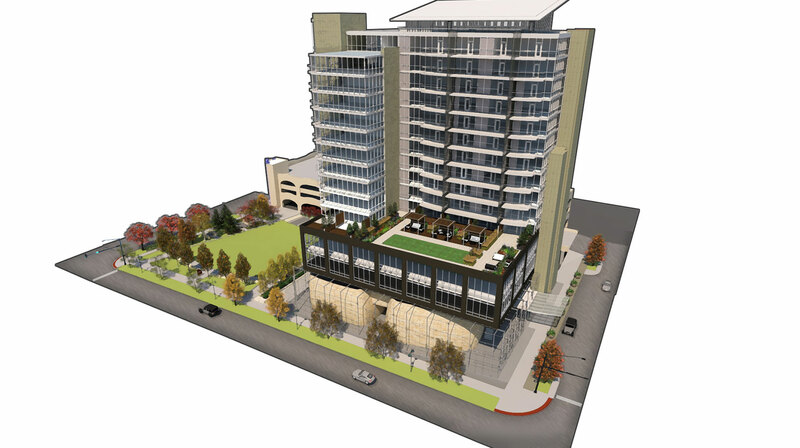 A fifteen story mixed-use project incorporates a bowling alley, movie theatre, hotel and apartments into this compelling project currently under construction in downtown Iowa City. 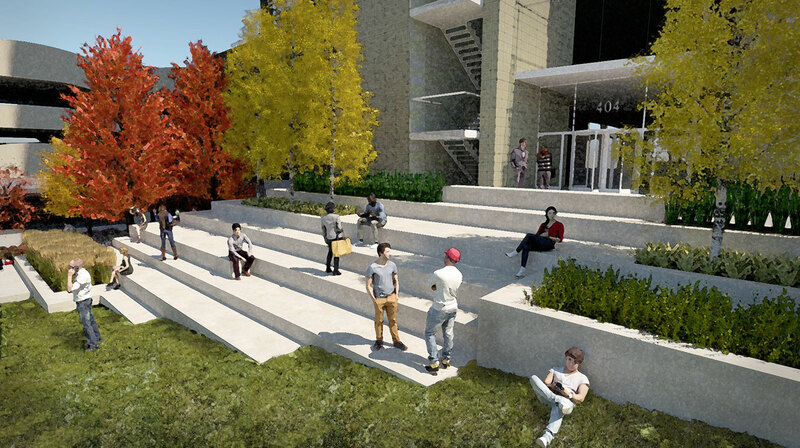 The main entrance experience includes a drop off consisting of granite pavers, steel bollards, and concrete planters. 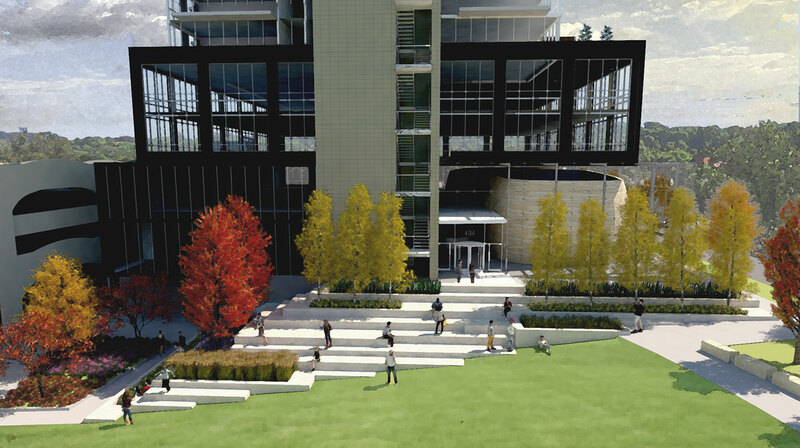 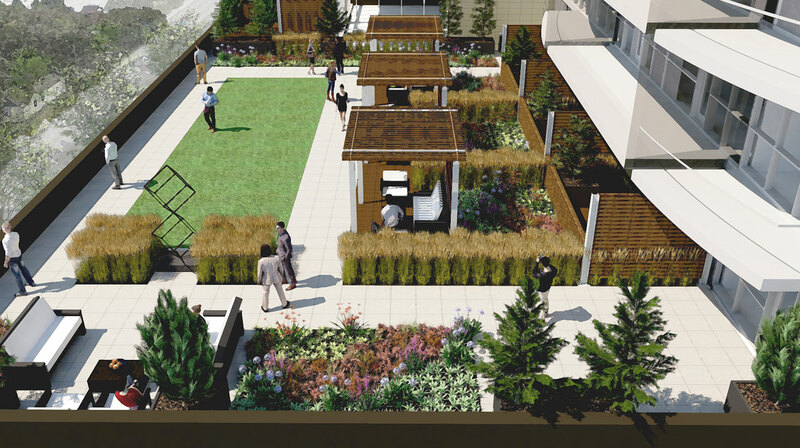 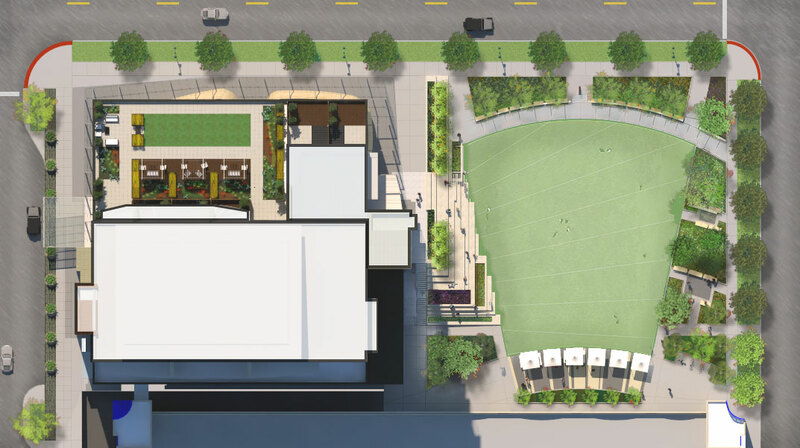 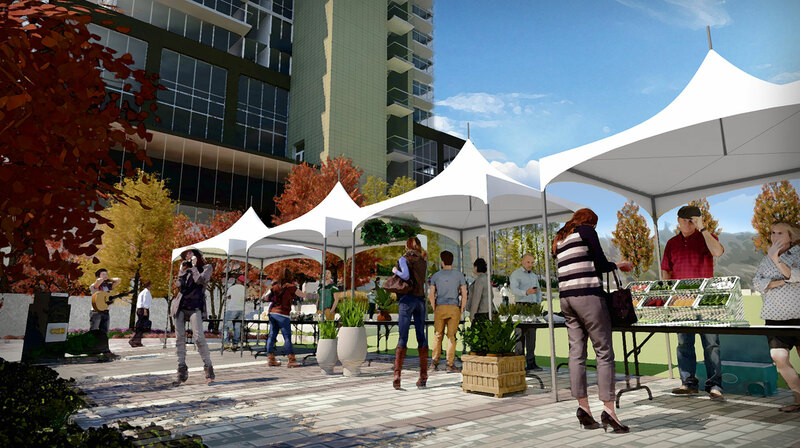 On the east side of the building is an outdoor amphitheater-like seating and planting area that provides a seamless edge between building and Chauncey Swan Park. 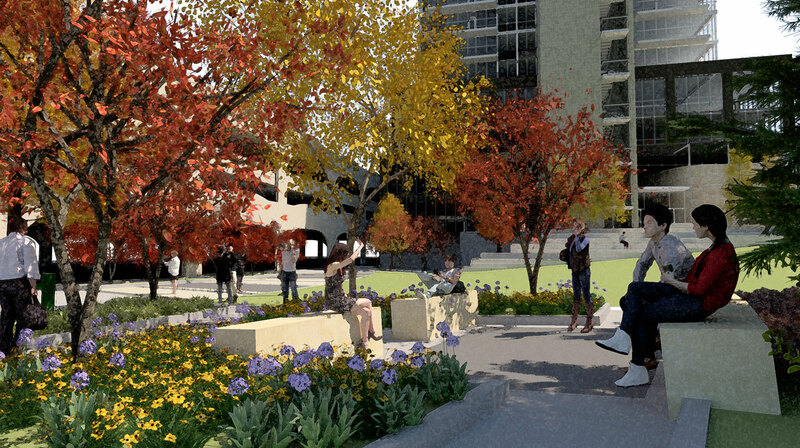 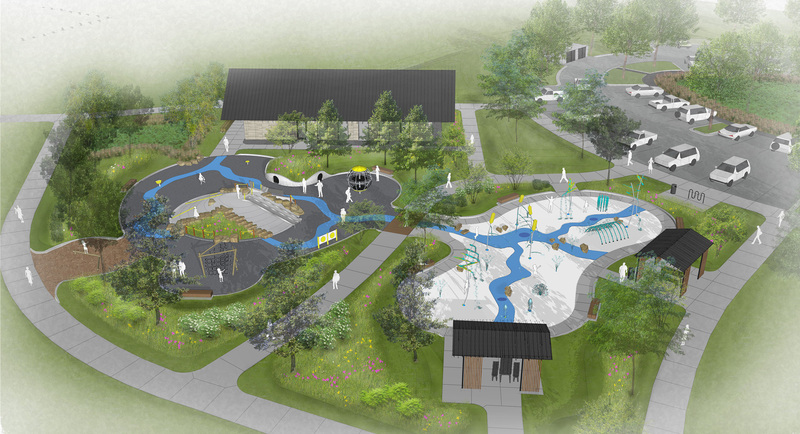 An additional component of the mixed use project was the renovation of the neighboring Chauncey Swan Park. 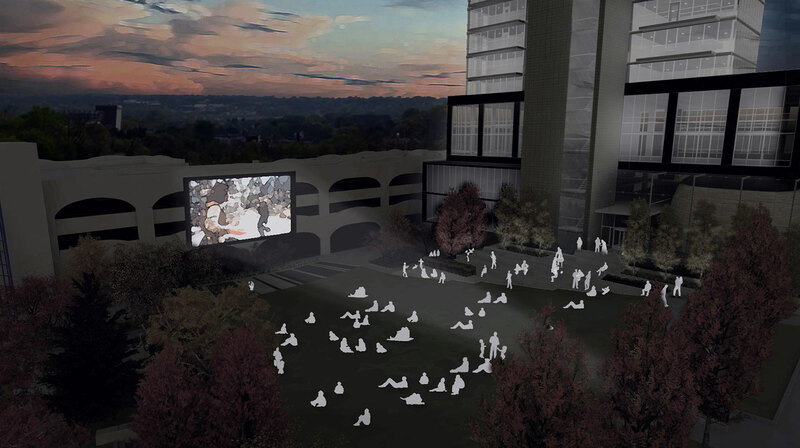 Programming for the space includes open markets, evening movies, small group activity and passive seating areas. 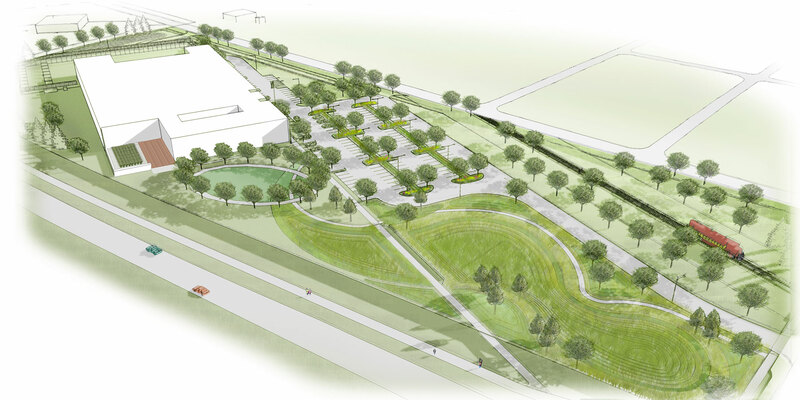 The park is planted with a variety of native and horticultural hybrids to maximize color, texture and maintenance, with a focus on reducing use of water dependent plants. 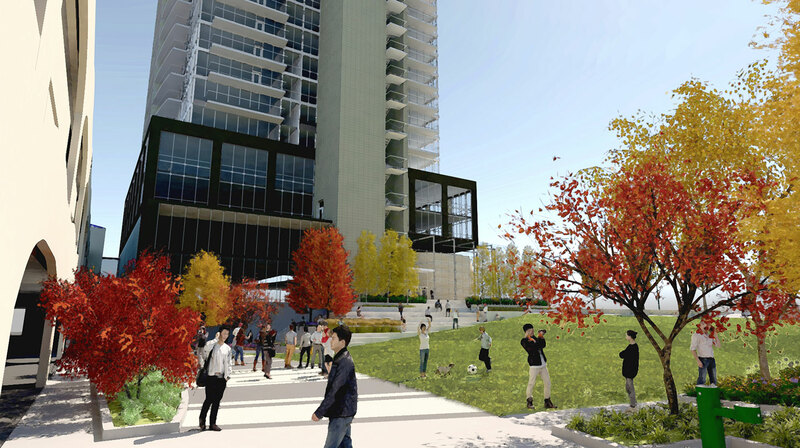 Towering above the hotel drop-off and Chauncey Park, a fifth floor rooftop provides expansive views toward the historic downtown and the University of Iowa Campus, the fifth floor roof terrace is accessible to hotel guests and available for scheduled events. 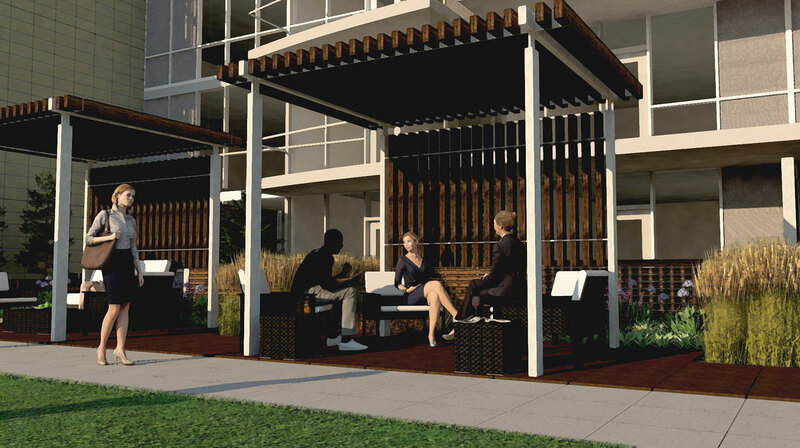 The primary social space consists of custom shade pergolas with comfortable lounge furniture overlooking a synthetic turf panel. 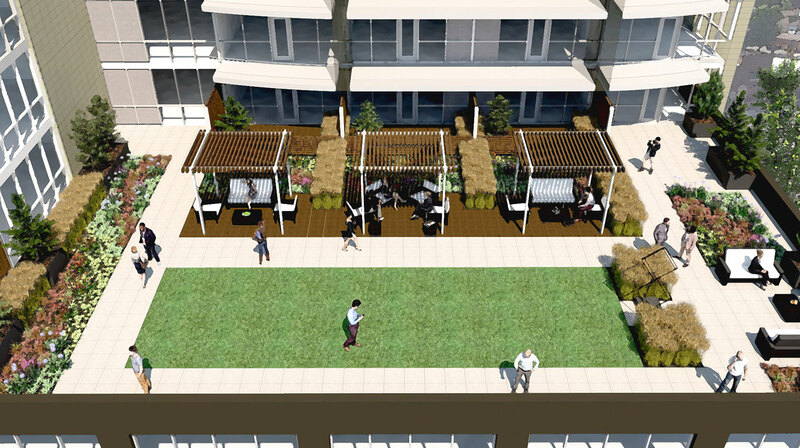 The turf panel provides a flexible space for impromptu yoga classes and the occasional wedding. 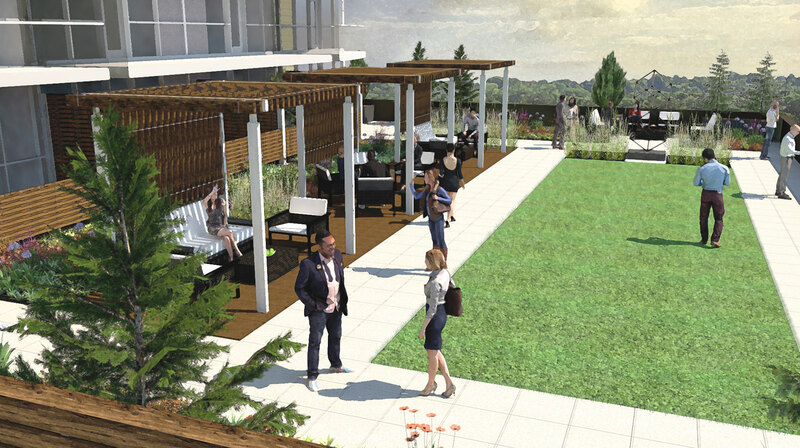 Knitting the spaces together is a mix of concrete pedestal pavers, ipe tiles, and pre-vegetated roof trays that help define focal points and walkways.